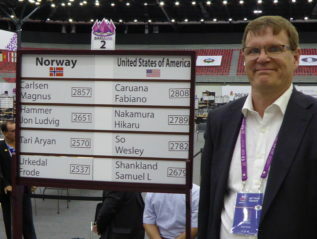 In Norway I’ve been arbiter three times at Norway Chess (2013, 2014 and 2017) and sector arbiter at the Chess Olympiad in Tromsø. In daily life, I’m Human Resources Manager and Teacher. As I like passing my knowledge, I am also French lecturer and do national arbiter training. Arno is a chess enthusiast living in Amsterdam, the Netherlands. He started organising and arbitrating chess tournaments at a young age, with a focus on youth tournaments. 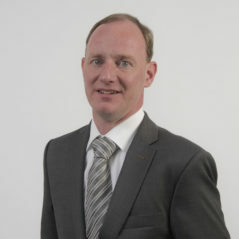 He has been involved in over forty Dutch youth championships in all kind of categories and disciplines. As inexperienced, young players obviously lead to ‘special’ and delicate situations, Arno knows his way in solving all kind of problems. Later on his interests shifted to arbitrating FIDE rated tournaments, gaining his International Arbiter title in 2014. Next to Altibox Norway Chess in 2015 and 2016, Arno is a regular arbiter at the world’s highest rated open tournament on the Isle of Man. In daily life Arno practices tax law, thus using his experiences in chess arbitrating and law both in his hobby and in professional practice. I started playing chess at the age of 10, when Bobby Fischer became world champion. I took an arbiter course in 1983 and have been practicing as a arbiter since then. I became FIDE arbiter in 2009 and completed my international arbiter title in 2012. I have been an arbiter in two Olympiads (Tromsø 2014 and Baku 2016). In addition, I have been the main arbiter in several title qualifying tournaments, Svein Memorial Tournament 2008-2017 and the Oslo Chess Festival 2016 and 2017, as well as a number of NGP tournaments. I have also been an arbiter in several Country Tournaments, and assistant in some other international tournaments in Norway. 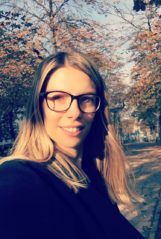 I also have experience from the elite series in Norway since it started in 2006, first as assistant arbiter, and from 2012 as main arbiter after taking over as a tournament manager in the Norwegian Chess Association. I have been arbiter the three times there have been qualifying tournaments to pick out the 10th player to Norway Chess (2014 – 2016).